On Wednesday evening, Jews around the world will begin celebrating Purim, one of the most joyous yet intentionally inexplicable holidays of the Hebrew calendar. With its post-Temple-era origin story taking place outside of Israel, Jews commemorate their victory over the Persians by wearing costumes and partaking in a drunken feast. 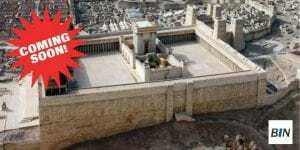 Jewish holidays are usually precise in their timing, however Purim is celebrated on different days within walled cities, most notably Jerusalem, observing the holiday one day later than the rest of the world. Despite its bizzarre qualities, or perhaps because of them, Purim is designated along with Hanukkah as one of the holidays that will remain in place after the arrival of the Messiah. A topic as confusing as Purim certainly requires a guidebook. 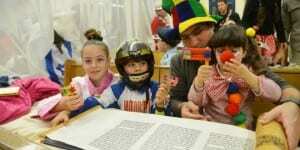 It is for this reason that Breaking Israel News compiled its top articles on Purim. 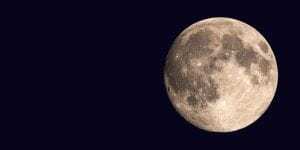 This year, Purim will coincide with a supermoon and the vernal equinox. Several rabbis weigh in on the significance contained in this confluence as it pertains to current events and the end-of-days. Rabbi Mattityahu Glazerson, an acknowledged Torah codes expert, revealed amazing clues indicating that this Purim is especially auspicious for the arrival of the Messiah. His calculations show that even if the Messiah does not arrive on Purim, the end date is much closer than most people realize. 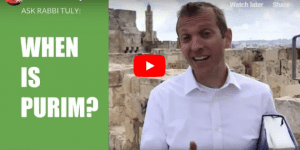 Can We Expect The Anointing Of The Messiah This Purim? In a modern-day phenomenon, many Christians are beginning to adopt the holiday of Purim and the Jewish custom has even appeared in the inner sanctum of the White House. 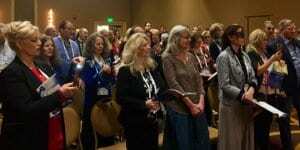 Megillah Reading at the Evangelical Christian NRB Proclaim 18 Conference? The Jewish Sages teach that once Moshiach (Messiah) arrives, none of the Biblical festivals will be celebrated any longer except for Purim. Rabbi Pinchas Winston, a prolific end-of-days author, explains that the distinctive light of Purim, which is embodied in the ability to recognize God even when He is hidden, will never be extinguished. Purim is celebrated in Jerusalem on Friday, March 22, 2019 and on Thursday, March 21 everywhere else. 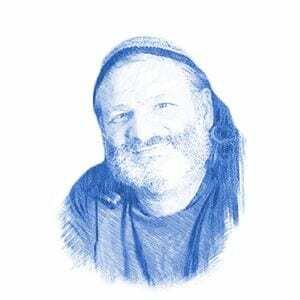 Rabbi Tuly Weisz explains the reason behind this confusing aspect of the holiday. Jews are commanded to drink on Purim until they can no longer tell the difference between Mordechai, the righteous hero, and Haman, the evil villian. The story took place in Persia, a region currently ruled by an evil Iranian regime that is Israel’s greatest enemy. 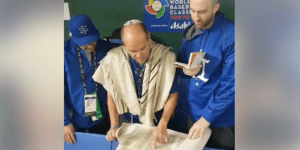 But in the same way that the Book of Esther flips tragedy onto victory, the Sanhedrin sees Iran as a possible key-player in the construction of the Third Temple. Queen Esther is the iconic and legendary character of the Purim story. 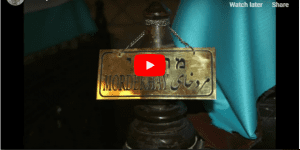 Her tomb, and that of the other hero of the story, Morchechai, lies in the Iranian city of Hamedan. Today, the Iranian Jews are known as the children of Esther.